President Johnson was nominated for re-election by acclamation at the Democratic convention in Atlantic City. 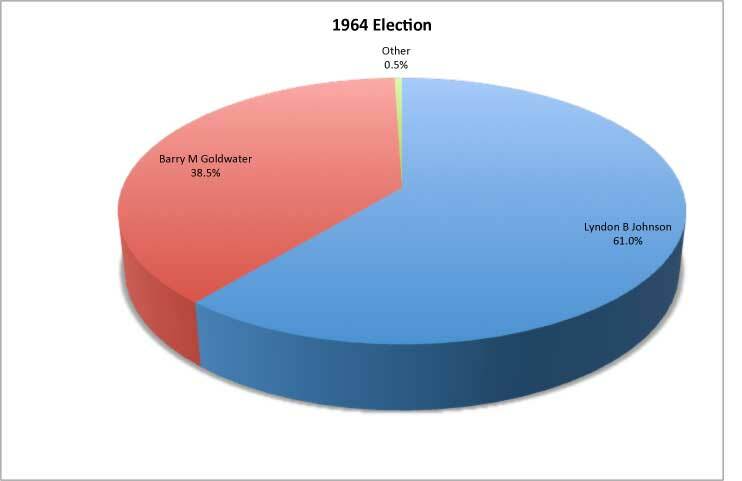 Senator Goldwater ran for the Republican nomination, He was opposed by Nelson Rockefeller. However, Johnson was nominated on the first ballot. 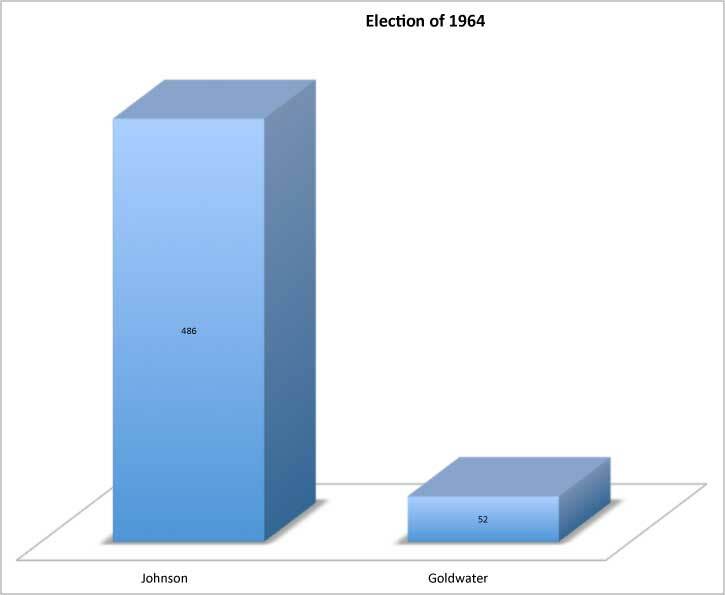 Goldwater promised "a choice, and not an echo." Goldwater suggested the use of tactical nuclear weapons in Vietnam, if necessary. He also called for deep cuts in the social programs. Goldwater opposed much of the civil rights legislation. He suggested that Social Security become voluntary, and that the Tennessee Valley Authority be sold. Johnson campaigned on a platform of continued social programs, and limited involvement in Vietnam. 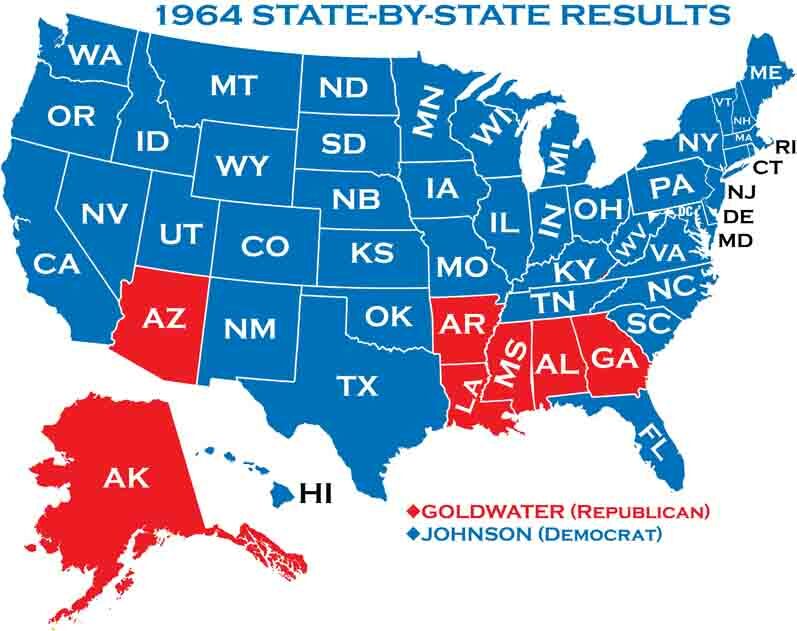 The election of 1964 was the first election, since 1932, that was fought over true issues. This election brought ideology into Americans politics. The Democrats claimed that Goldwater's policies were dangerous and that he would lead the US into war. The Democratic slogans included: "In Your Guts, You Know He is Nuts"..